We provide group and private classes for adults of all ages and abilities in a friendly and fun environment. A great way to meet new people! We have world class teachers, a beautiful spacious floor and our service is always professional and affordable. 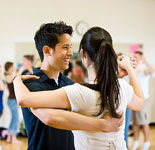 Fun and energetic group classes and private lessons for children between 4-16 in Latin, Ballroom, Street and Disco. All levels and abilities are catered for - especially absolute beginners! We aim to help your child develop and grow in a caring and safe environment. Regular dance extravaganzas provide the ideal environment to socialise amongst other students and show off what you have learnt! 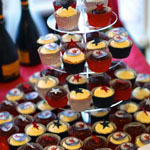 Demos from the world's best dancers, absolute beginner classes, and we even have access to a licensed bar! Our studio provides everything a competitor needs, whatever your standard. We aim to help you get the results you want! Regular weekly practice sessions, competitors and technique classes and access to the best private teaching available. Fantastic Facilities. The largest floor in town. 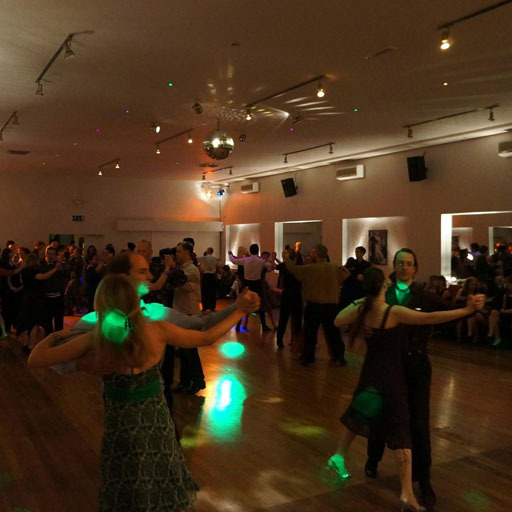 Our luxurious wooden dance floor is one of the largest spaces to dance in London. We also have additional studios for lessons and practice. World Class Teaching. For all levels of dancers. We employ only the very best teachers for our group classes. In addition we often have world renowned dancers visit to lecture and offer private lessons. A great location. Near Central London. We are ideally located next to East Putney station on the District Line. 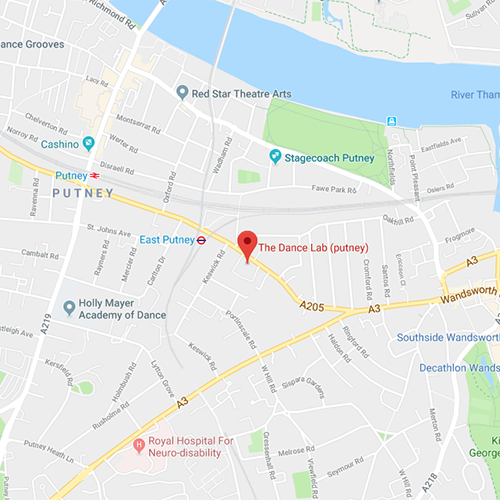 We are also a short walk from Putney mainline station (from Waterloo).